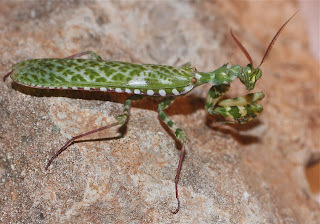 This superb mantis Blepharopsis mendica is also sometimes called Thistle Mantis. 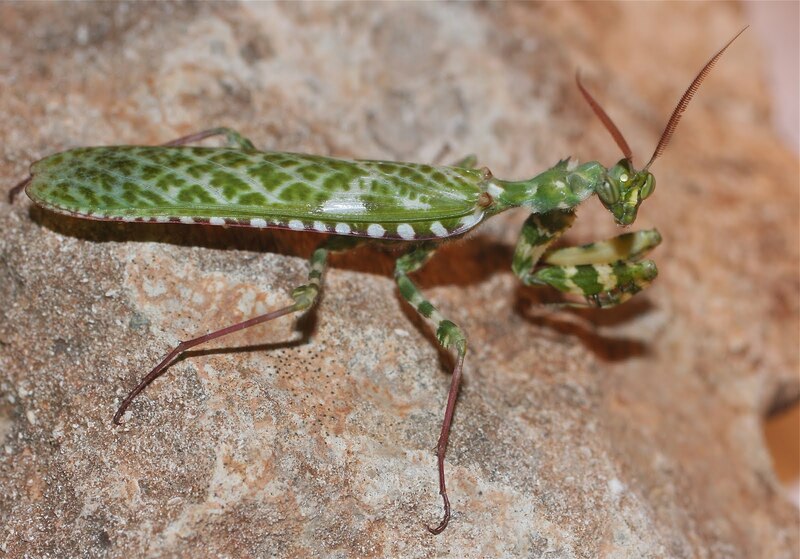 It is found in north Africa, the Canary Islands, the southern Med and the Middle East. This fine specimen was photographed in Cyprus by Alan Outen. The Samoborsko Hills (Samoborsko Gorje) lie around an hour's drive north-west of Zagreb, Croatia's capital. just north of the small town of Jastrebarsko. This wooded, protected upland is a good area to walk all-year round and great for birds in spring and butterflies in summer. 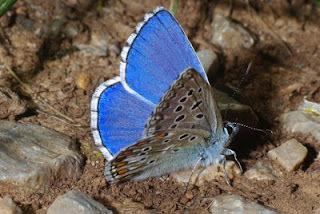 This stunning little butterfly was photographed in the Aggtelek National Park Hungary in June 2010. The Boreal Wildlife Centre is tucked away in the Karalia region of Finland, in the hamlet of Viiksimo, close to the Russian border. This region of Taiga forest, lakes and bogs has good numbers of Brown Bear, Wolf and Wolverine. These mammals can be watched with the help of expert guides from the centre who also have hides (blinds) from which wildlife can be photographed. It is a great place to stay, a converted frontier station in fact, but advanced booking will be needed!